Owing to its policy of open doors and ambitions to become a "humanitarian superpower" (as former Conservative Prime Minister Fredrik Reinfeldt put it), Sweden is set to become the European nation with the largest proportion of Muslims, which according to a researcher is fraught with problems. Sweden's Islamic community has gone from numbering in the dozens in the 1930s to hundreds of thousands today, and is becoming one of the fastest-growing in Europe. According to Pew Research University, it is expected to rise further to to 4.5 million (or 31 percent of the population) by 2050. Compared with Sweden's current total population of 10 million, this will entail the Nordic country having among largest proportions of Muslims in Europe. At present, over 25 percent of Swedish citizens have foreign ancestry. Richard Jomshof, party secretary of the right-wing and anti-immigrant Sweden Democrats, has recently compared the situation in Western Europe in general and Sweden in particular with the late Roman Empire in decline, and is calling for drastic measures to prevent the continent from falling prey to degeneration and Islamization. While this view is not shared by the mainstream Swedish media, let alone the parties vying for power, the spread of Islam has become a hot topic for debate. According to the Pew Research Center, immigration and fertility rates are key issues. On average, Muslim women in Europe have 2.1 children, as opposed to 1.6 children among their non-Muslim peers, tilting the scale in favor of the newcomers. Aje Carlbom, an associate professor of social anthropology at Malmö University specializing in studies of Islam, advocates a less alarmist view of the future, compared to that of Jomshof, but nevertheless makes no secret of the challenges posed by variants of Islam and their incompatibility with European values. While Carlbom is the author of an attention-raising report on the growing influence of the Muslim Brotherhood in Sweden, he is also skeptical of the suggestion that Islam will take over Europe. "A lot will be needed for Muslims to become a majority. You should probably make the image of that phenomenon more nuanced," Carlbom told the Christian newspaper Dagen. According to Carlbom, Muslims cannot be seen as a unified group, but rather as plethora of loosely connected subgroups sharing conflicting beliefs. 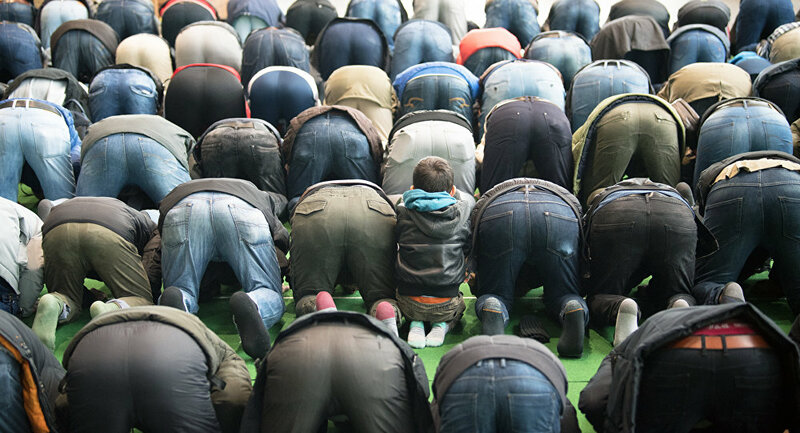 Many Muslims who come to Europe ultimately get affected by their environment, become secularized and less engaged in religious debates, and have fewer children. However, he admitted that there are problems as well, as there are numerous groups, albeit currently marginal, striving to implement Sharia law and other ideological vehicles incompatible with European values. Carlbom named radical Sunni Hizb-ut-Tahrir* working to establish a Muslim caliphate, as natural "enemy of the Swedish social order." "One should be aware that there are major general differences in values between Muslims and non-Muslims. Sometimes, it's almost opposing values when it comes to gender equality and sexual minorities," he said. Nevertheless, Carlbom painted a rather bleak future. According to him, continued immigration will lead to segregation becoming worse. "Researchers know that people who come to a new country usually seek out environments they recognize. Therefore, as diasporas grow in size, the bigger such an environment becomes, the more difficult it is to leave," Carlbom said, pointing out tensions that may erupt between Muslims and non-Muslims. Mohammad Fazlhashemi, a professor of Islamic theology at Uppsala University, drew parallels with disparaging views of other minorities throughout history, such as US Protestants' terror over Catholic immigration, where Catholics' with their big families were expected to take over. "A hundred years later we see that it never happened. Today, the same is said about Muslims, that every Somali woman is giving birth to ten children, and that, in turn, they get ten children each. But here in Sweden, their birth rate soon gets adjusted," Fazlhashemi said. At present, the exact number of Muslims is up for debate due to the absence of religion-based statistics. A 2017 Pew report estimated the proportion of Muslims at 8.1 percent of Sweden's population of 10 million.